Okay, I guess it's time for another CAS card - Clean and Simple. It's been awhile. This one uses the stamp set, An Open Heart, and it was inspired by The Paper Player's latest challenge #222, Ann's Clean and Simple Thank You card with a fall theme. I used Stampin' Write Markers to ink up my stamps today, except for the sentiment. It gives a distinctive look that works well with these images. I started with a Very Vanilla card base and another piece as the main front panel. In between, I allowed a very narrow border of Cajun Craze cardstock, to add some variety. I inked up the leaf branch with Mossy Meadow and Cajun Craze Stampin' Write Markers and stamped it along the bottom third of the front panel in order to leave lots of blank space above it, which helps to create that CAS look. 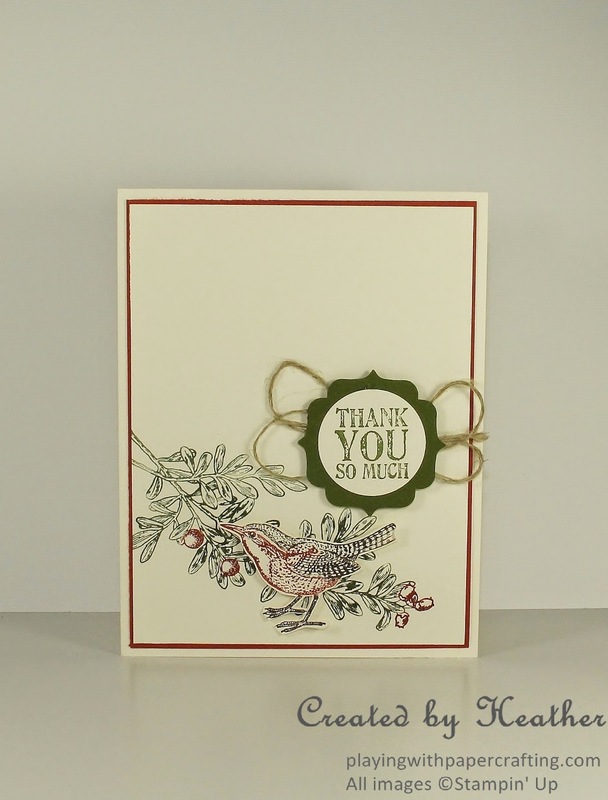 For the bird, I used Early Espresso and Cajun Craze Stampin' Write Markers and stamped it on a separate piece of Very Vanilla cardstock, then had snipped it to add to the card with Stampin' Dimensionals. When you ink up your stamps with markers, don't forget to "huff" on them before you stamp. The moisture in your breath will re-moisten the ink that may have dried while you were inking and give you a better image. 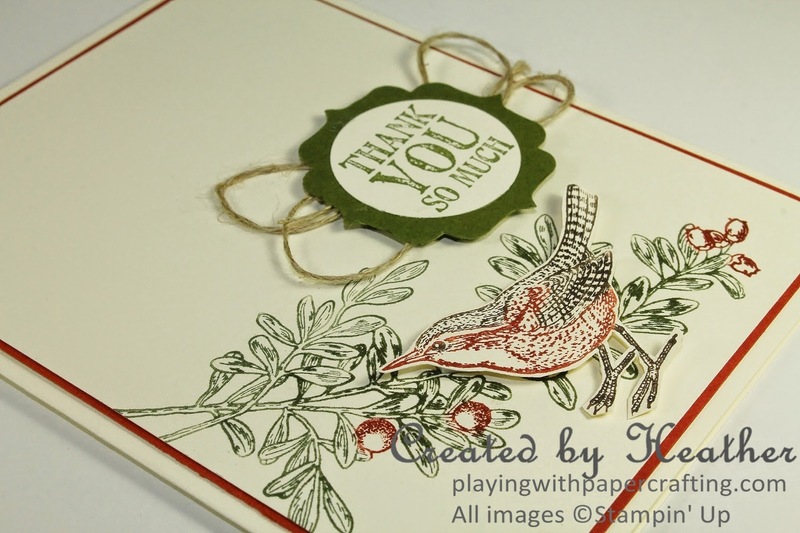 The sentiment is from the Lots of Thanks stamp set. 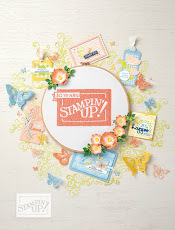 I stamped it in Mossy Meadow ink and punched it out with the 1-1/4" Circle Punch. I used the Bracket Label Punch on some Mossy Meadow cardstock and glued the sentiment onto it. To get the loops of Linen Thread that you see behind the sentiment, I wrapped some Linen Thread around 3 fingers about 3 times. I removed it from around my fingers and twisted it once into a figure eight. I pressed the middle on a glue dot and then added it to my card, as you see. I added the sentiment with Snail and glue dots over top of the Linen Thread. Let Me Help You with Your Holiday Madness! 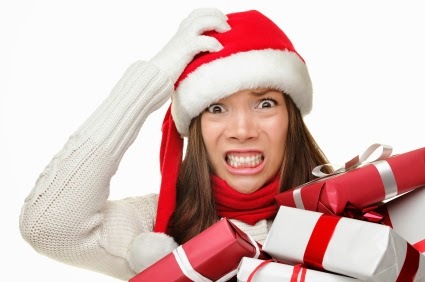 Are you stressing about getting everything done before Christmas? Let me help a bit with gift giving. 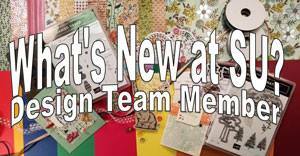 If you have crafters on your gift list, why not give them a Stampin' Up! Gift Certificate? 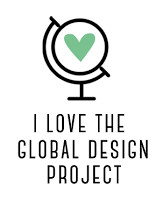 You can purchase it from me for any amount and the gift recipient can have the pleasure of choosing something that they really like. Just phone or email me if you want to purchase any. If your crafter is short on time or space, consider prepaying a Paper Pumpkin subscription for her. One a month her creative escape will be mailed right to her door. Inside will be everything she needs to complete the project, except for the adhesive. At $24.95 a month, It's a great deal. If you would like to purchase a prepaid subscription, contact me and I will help you order it. And what about gifts for you? If you want Stampin' Up! presents this year, make yourself a wishlist and pass it along to those who generally buy you a gift along with my contact info. If you give me a copy of your list as well, I will coordinate with those who are buying for you and make sure they don't duplicate. I will even gift wrap it for them! There, now, don't you feel better? You can DO THIS! This is AMAZing! Such a simple little image and it looks fabulous inked up in a couple of colors on a simple background! PERFECT CAS!! Thanks for playing with the Players this week! 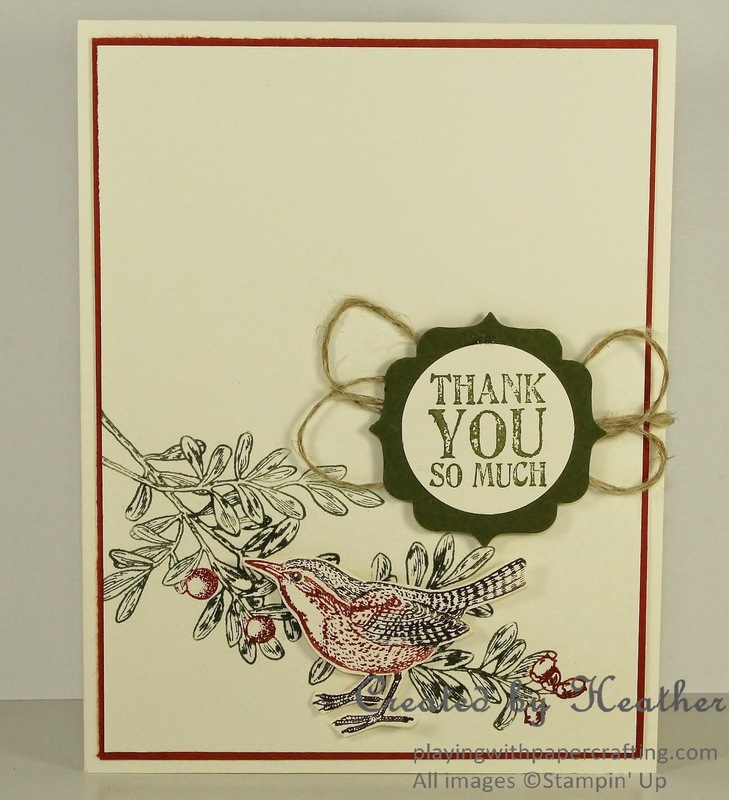 A great CAS thank you card - the markers make the stamping on this card really stand out. 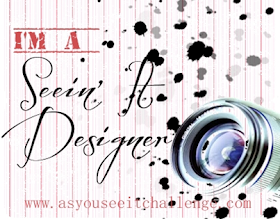 Thanks for playing along with our challenge over at The Paper Players this week! What a gorgeous card. Great use of white space. Thanks for joining us at The Paper Players!